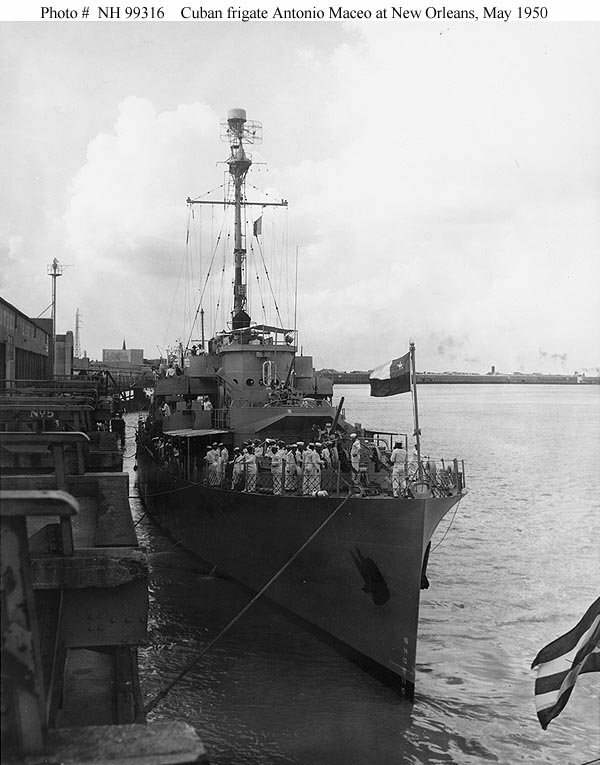 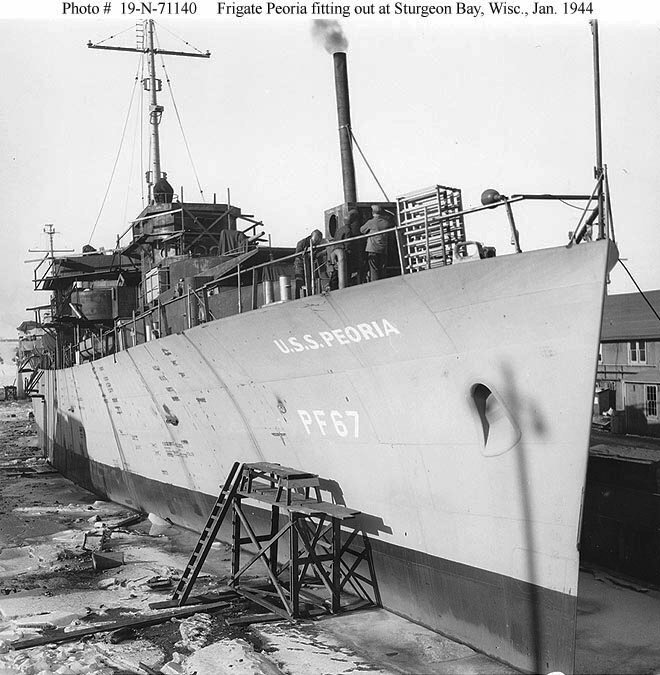 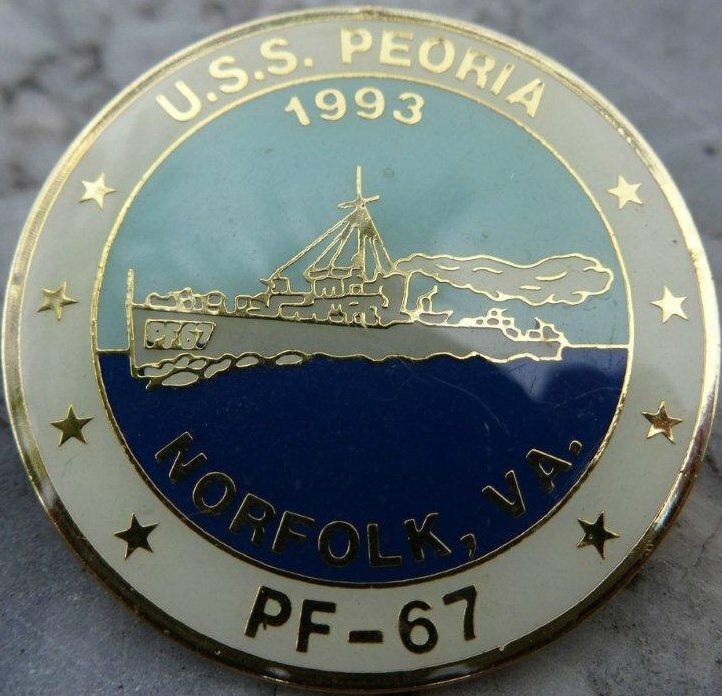 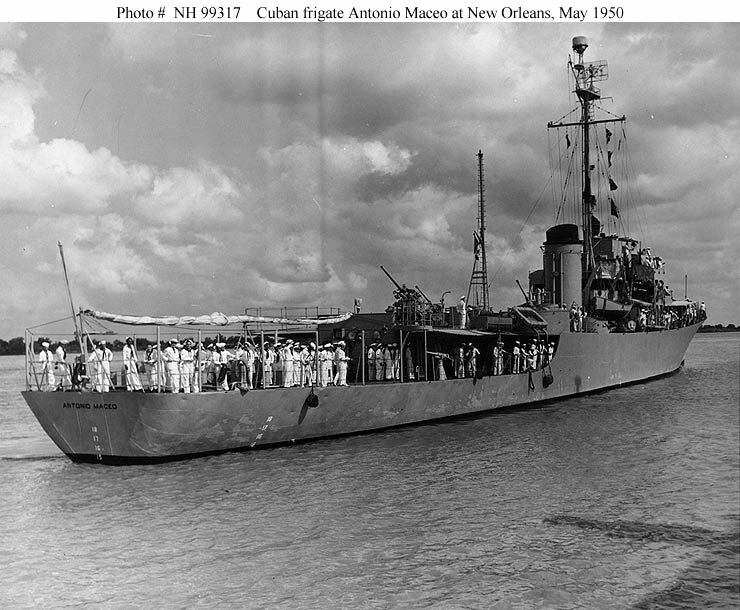 Peoria served the Navies of the United States and Cuba. 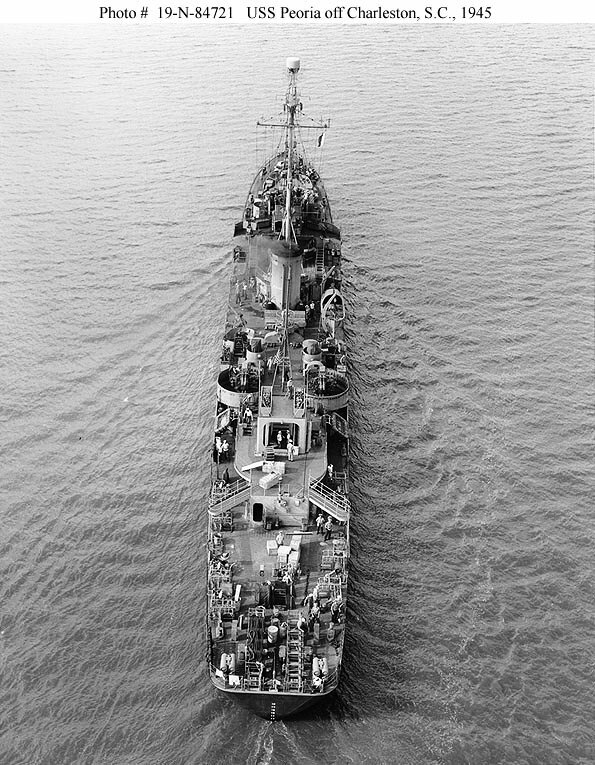 Sunk as a target in 1975. 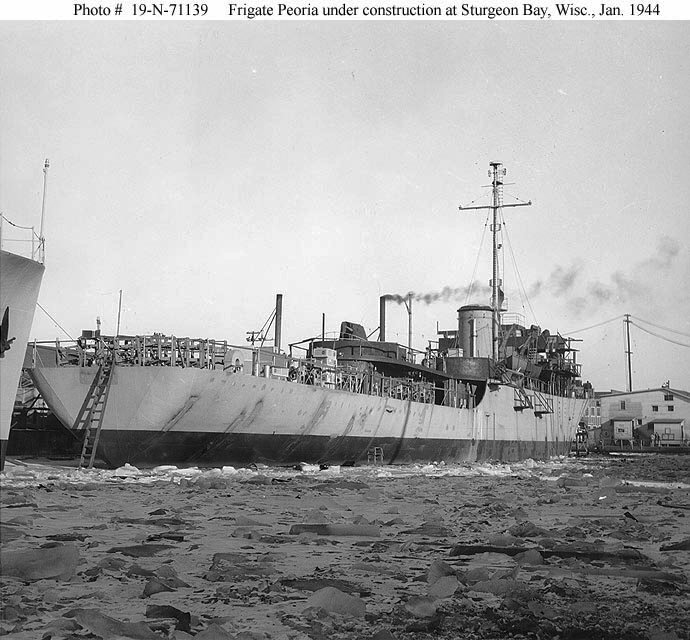 Propulsion: Two 3-drum express boilers, two 5,500ihp vertical triple expansion Valley Iron Works engines, two shafts. 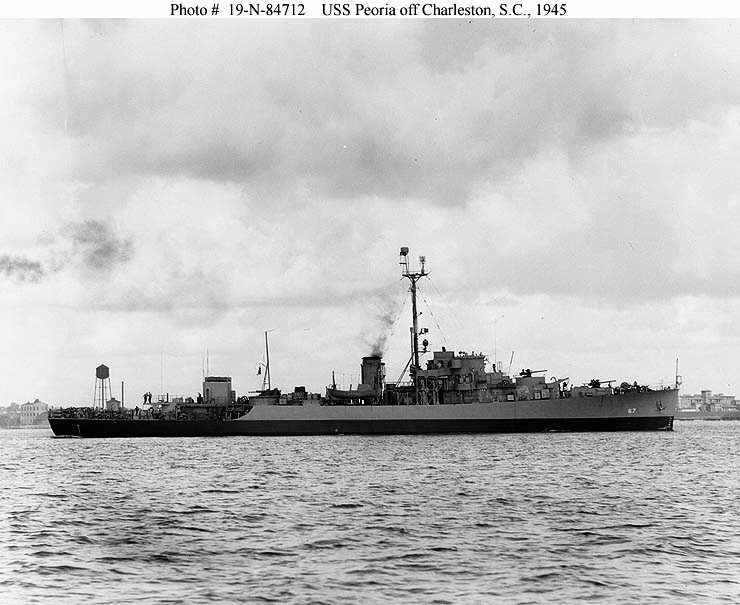 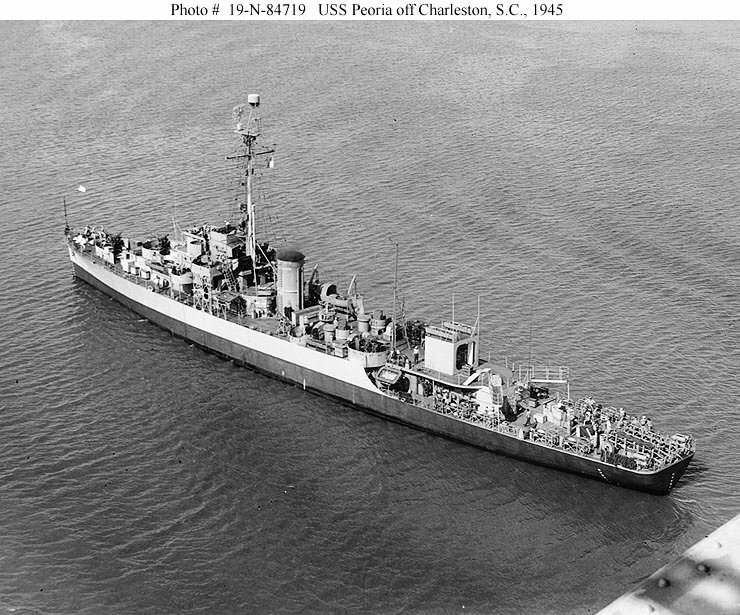 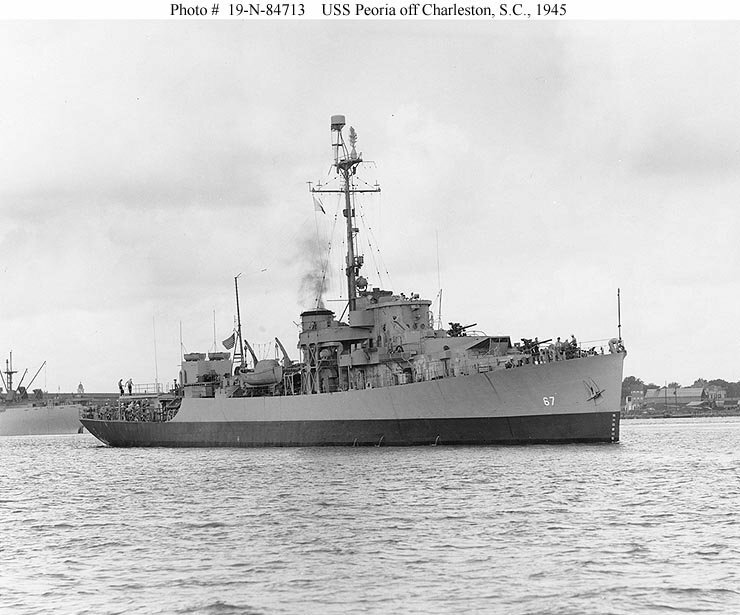 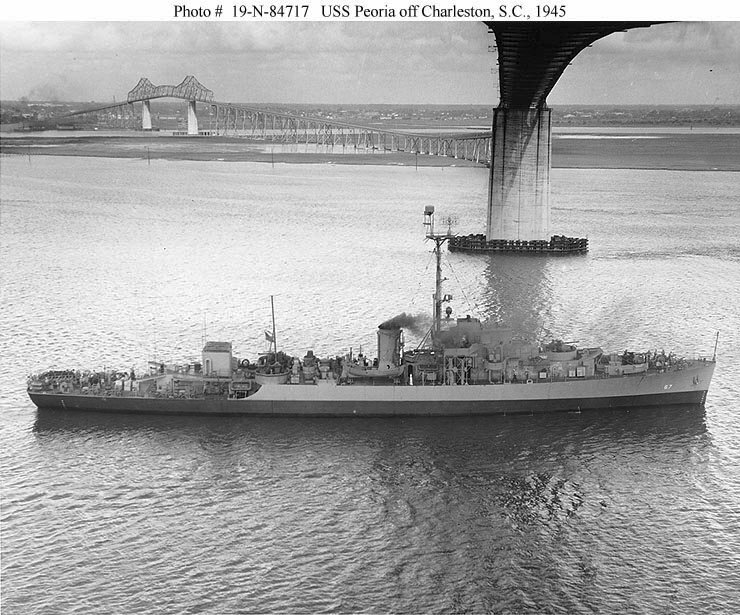 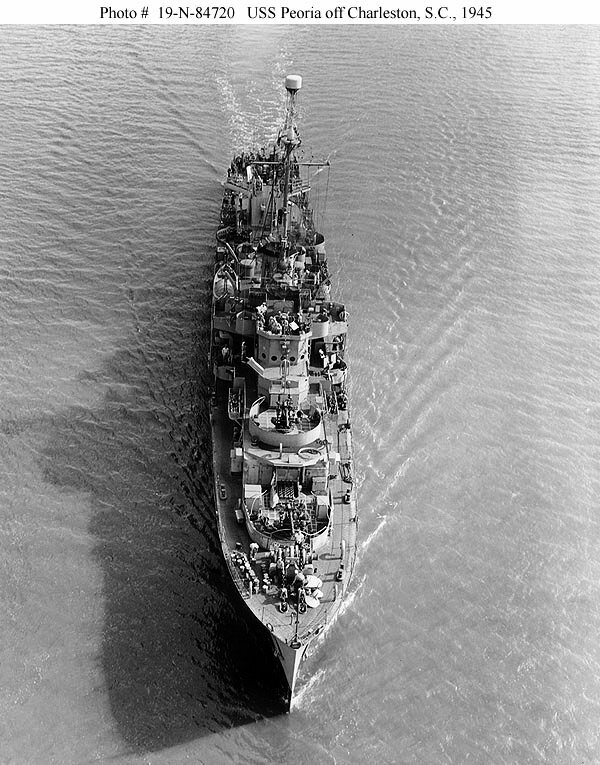 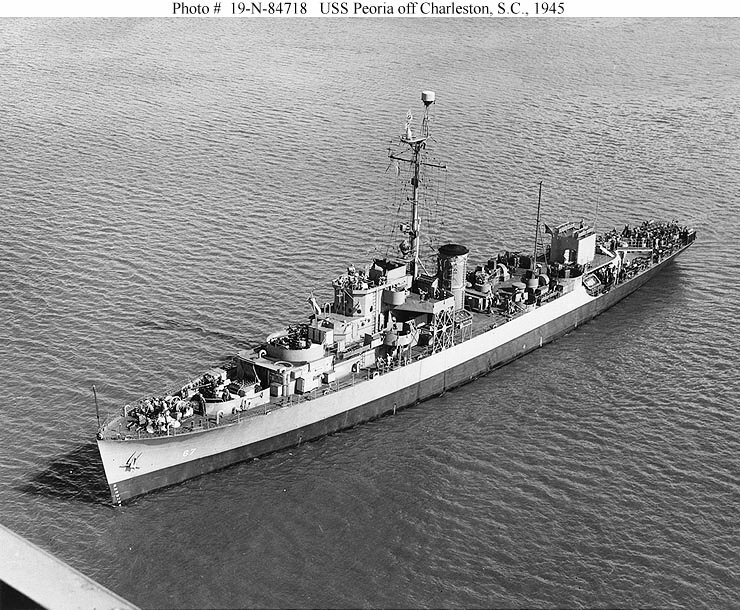 83k Off Charleston, South Carolina, following modification as a weather station ship, circa June 1945.